Students use a R.A.P. 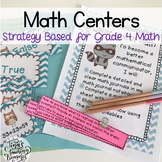 strategy to aid them in answer short response questions. 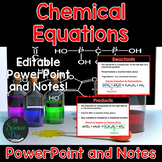 This product includes a guide for students and a sample passage with step by step instructions to answer the question. 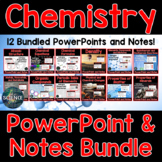 This is extremely helpful for students taking NYS assessments or any exam that requires short answers! 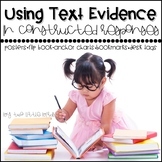 Use this written comprehension rubric to make sure your kids are hitting all of the points in their answers! This is a handout/notes page for students to learn the RAPS strategy for answering constructed response questions in reading. 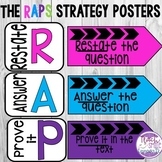 Free printable you can give your students to help them remember the RAP strategy to fully answer any TDA response. Read Any Place reading response form. 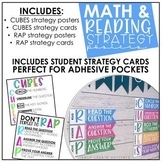 RAP Strategy graphic organizer for early elementary. 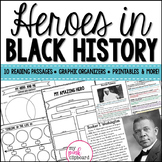 Heroes of Black History - Close Reading Passages and Printables!